Photos: On mossy, upland rock. Ballingeary, Cork, SW Ireland. Basal squamules absent or insignificant. 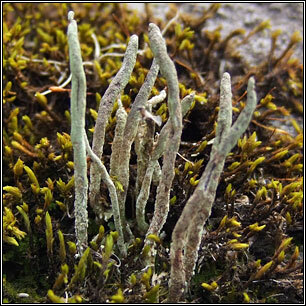 Thin grey-green podetia with pointed tips, usually farinose-sorediate, sometimes corticate with small squamules towards the base. Antler-like proliferations arise from top of podetia. 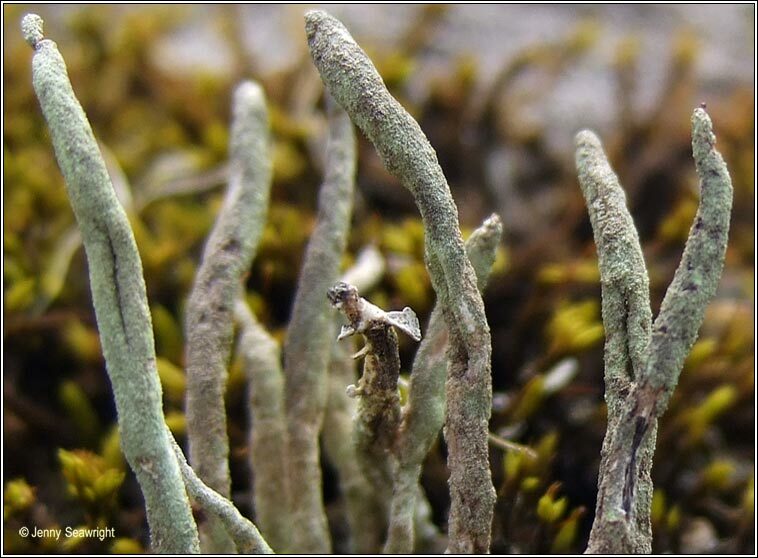 Brown apothecia are rare. 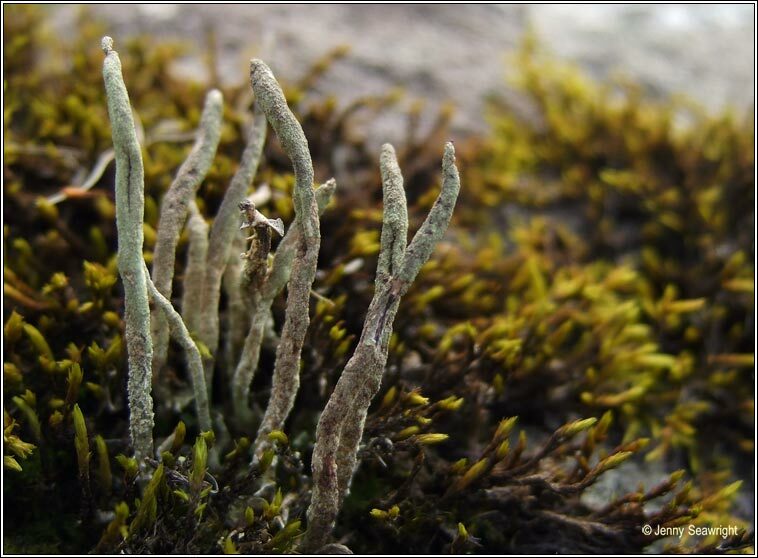 Found on well-drained sandy heathland and acid dunes, also on earth banks, wall tops, tree stumps. Often found among Calluna.